Ohio is a midwestern state in between Indiana and West Virginia, with Michigan just along its northwestern border. Ohio is home to 11.6 million people and sits south of Lake Erie, along whose border is the city of Cleveland. The most populated city in Ohio is its capital city of Columbus. Ohio is known as the Buckeye state because of the high population of buckeye trees, and Ohio University is home to some of the nation's fiercest college football fans. 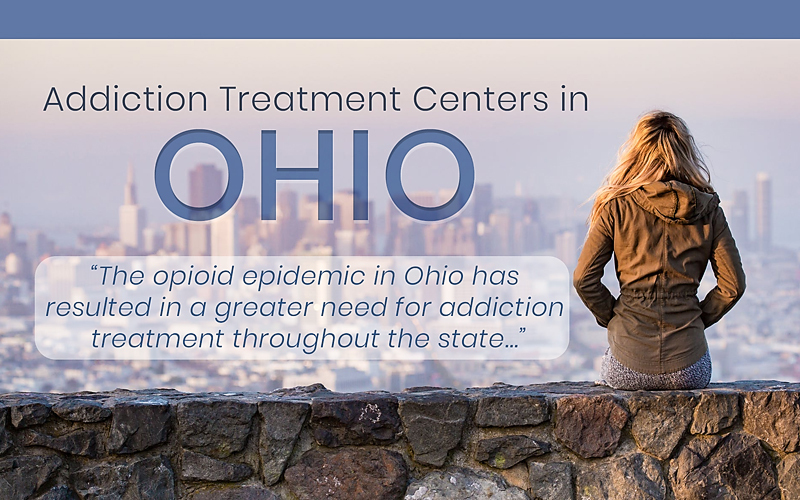 Ohio is one of the top five states in the nation with the highest rates of opioid overdose deaths, according to the National Institute on Drug Abuse (NIDA). The Institute reports that medical providers in Ohio wrote opioid prescriptions at a rate of 85.8 per 100 people in 2015, which was well above the national average of 70.0 prescriptions per 100 people. The overdose death rate in 2016 was 32.9 deaths per 100,000 people, triple the rate of 10 from 2010 and far exceeding the national average of 13.3 deaths per 100,00 people. Since 2010, heroin-related deaths rose from 355 to 1,478, while deaths related to synthetic opioids like fentanyl and carfentanil rose from 175 to 2,296. The majority of synthetic opioid-related deaths are attributable to fentanyl, but as the Ohio Department of Health states, most fentanyl reports result from illegally trafficked and produced fentanyl, rather than diverted pharmaceutical fentanyl. The department reports a significant spike in accidental prescription opioid deaths beginning in 2010, then beginning to decline in 2011, the same year when accidental heroin overdoses began to spike. This trend highlights the transition from prescription opioid abuse to heroin abuse. According to the Treatment Episode Data Set (TEDS) from 2017, the overwhelming majority of addiction treatment admissions identified heroin or other opioids as the primary drug of abuse. The TEDS reports that more than ten thousand of about twenty-six thousand treatment admissions were for heroin or other opioids as the primary substance of abuse compared to only just under three thousand admissions for alcohol as the primary substance of abuse.